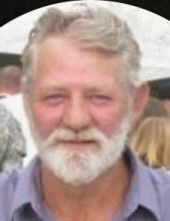 John Harold McMahan, age 72, of Hazard, KY passed away on March 27, 2019 at Greg and Noreen Wells Hospice Care Center. John was a United States Army Veteran and a retried coal miner for Cyprus Coal. He enjoyed ATV riding. John was born on Oct. 09, 1946 to the late William (Jake) McMahan and the late Connie Trent McMahan. He is also preceded in death by one sister: Erma Lee McMahan and two brothers: William "Sonny" McMahan and Bruce Edward "Eddie" McMahan. He is survived by two daughters: Lisa Strong (Donnie) of Lotts Creek, KY & Connie Holland (James) of Bonnyman, KY; one son: John Lee McMahan (Georgie) of Lotts Creek, KY; two sisters: Jean Thompson & Sue Henline both of Knoxville, TN; five grandchildren: Jonathan McMahan, Leslie Strong, Jeremy McMahan, Katie McMahan & Nikki Mullins; former spouse & mother of his children: Rose McMahan along with a host of great grandchildren, family & friends. To send flowers or a remembrance gift to the family of John Harold McMahan, please visit our Tribute Store. "Email Address" would like to share the life celebration of John Harold McMahan. Click on the "link" to go to share a favorite memory or leave a condolence message for the family.